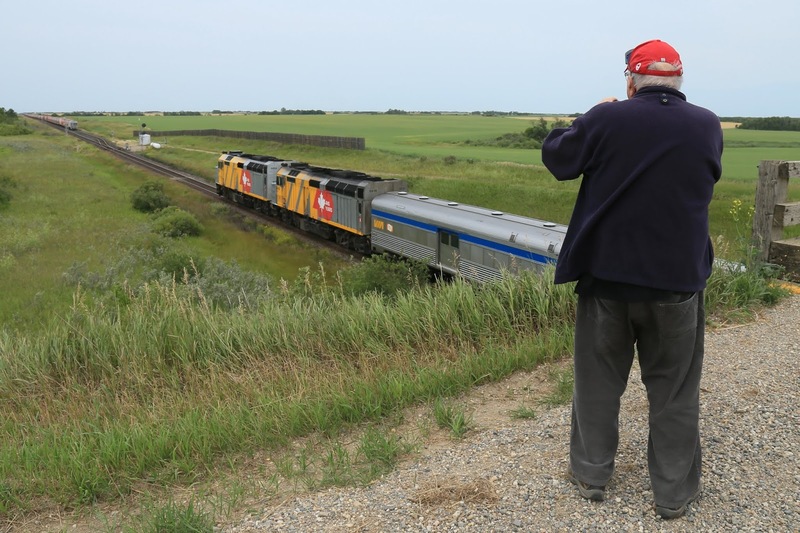 On Monday, August 20, I took a group of people on behalf of Rail Travel Tours to Manitou Springs Spa resort, which is just north of Watrous, Saskatchewan on VIA's Canadian. It was kind of neat seeing all the spots I usually take pictures of the train but from the "inside" perspective. We stopped in Melville for a crew change and a chance to stretch the legs. 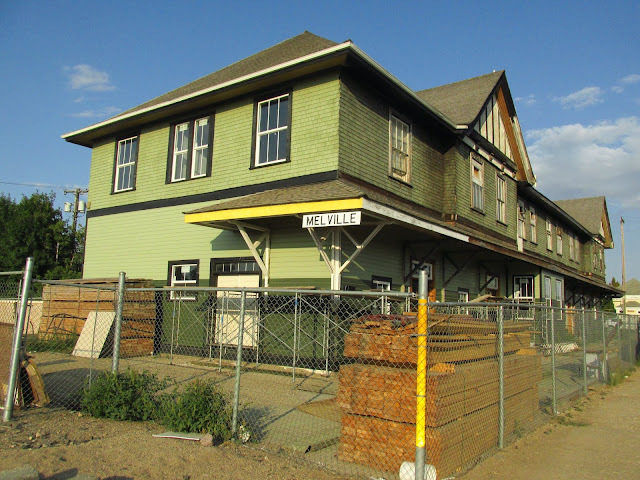 Nice to see that they are fixing the old station. Last time I saw it was boarded up and smelled like pigeon crap. We were making fairly good time until we got stuck for about three hours near Uno, Manitoba. 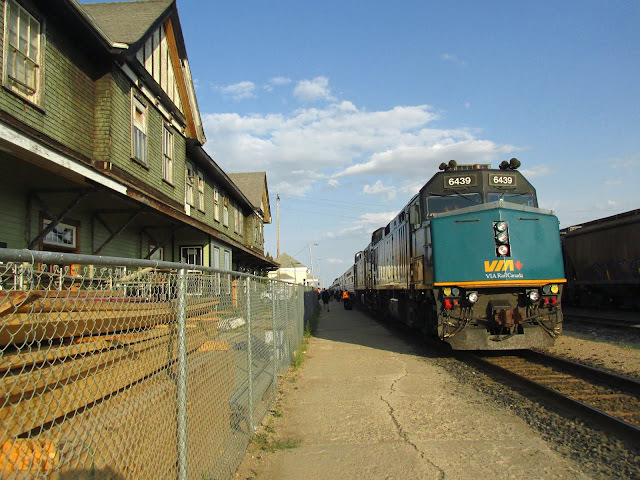 A CN freight had mechanical issues and had to be rescued by another train. A.J. Benoit from Brockville, Ontario sent us a link to a new video about Canada’s Oldest Railway Tunnel. This two minute and 39 second long video was created to help promote the tunnel. 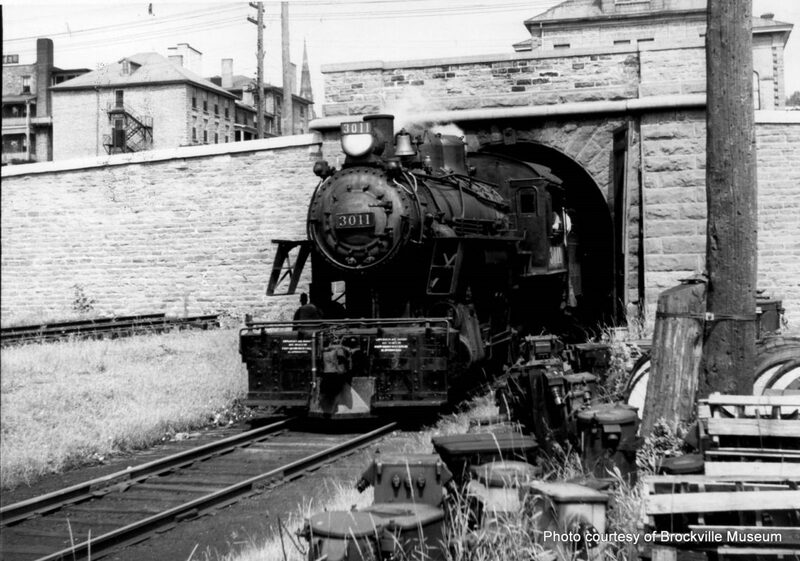 The tunnel was reopened in August 2017 after extensive refurbishing effort cost over 2 million dollars. Louis Lenz and I headed out on Thursday, August 2. The weather started off with some rain and the rest of the day was spent with the sun darting in and out of the clouds. Not too hot, not too cool and a slight breeze to keep the bugs away. A perfect rail fanning day. We bumped in to Cliff Davidson, who was also heading west and rail fanning. He informed us that VIA had tweaked its schedule and was running a bit earlier now. 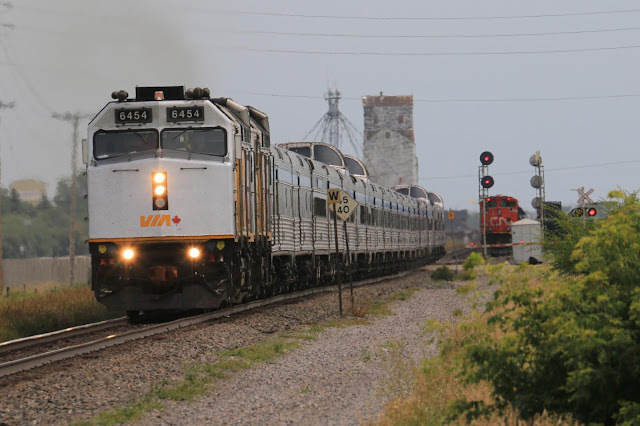 That would explain our surprise of seeing VIA's No 1 heading west at Harte around one o'clock. Super early! 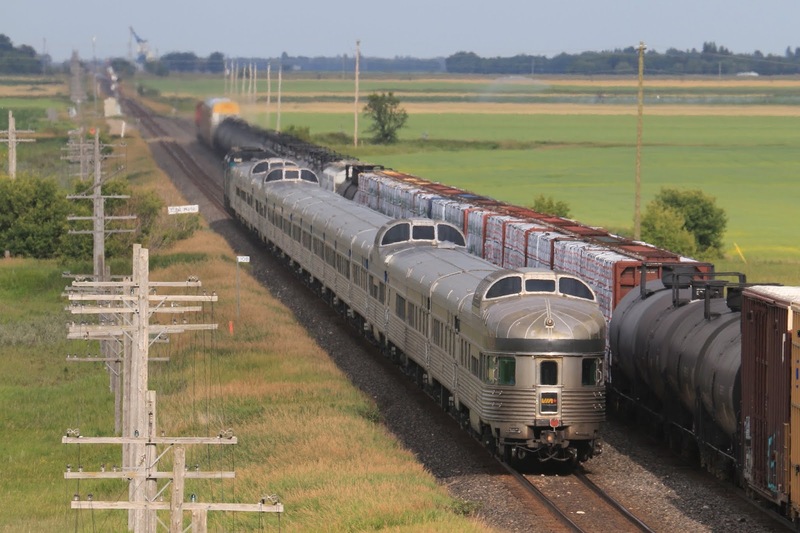 That surprise was complimented by the fact that the westbound had a pair of wrapped 40th anniversary units on the lead. Awesome! The chase was now on. Thankfully VIA was following a freight and CN was fairly congested with traffic. We beat it to Moffat and caught it in Rivers coming into town and leaving. Nice! CN traffic was steady and we even caught sight of some elk near Moffat. The new VIA schedule might make it possible to catch both at Rivers more easily (I hope). 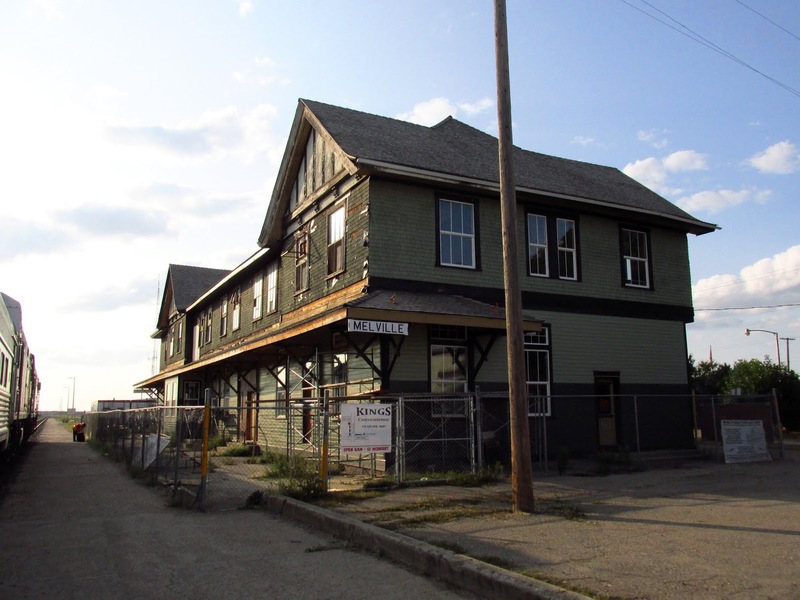 The Assiniboine Valley Railway is holding their third public open house of the year this weekend. Escape the heat by taking a train ride through the cool shade of their beautiful forested canopy! They're open from 11:00AM to 5:00PM on Saturday, August 11, and from 1:00PM to 5:00PM on Sunday, August 12. A ride costs two bucks and you can buy a 12 ride pass for only $20! Kids two years of age and under ride for free. All minors must be accompanied by an adult. The AVR is located at 3001 Roblin Boulevard, just west of Assiniboine Park. 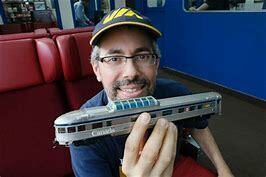 Jason Shron of Rapido Trains is making a very special visit to the Winnipeg Model Railroad Club on Wednesday, August 8. 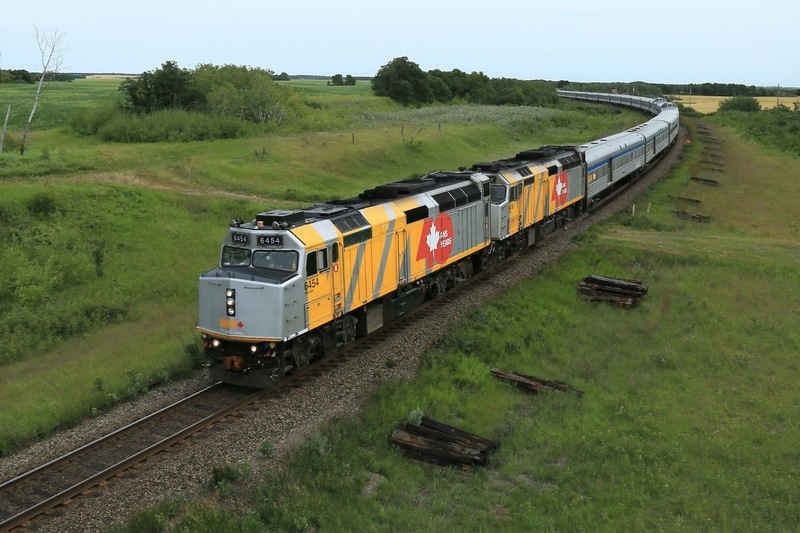 This event is open to all model railroaders in the Winnipeg area, whether you're a WMRC member or not. Jason will provide an overview of Rapido Trains and take you behind the scenes at the company. 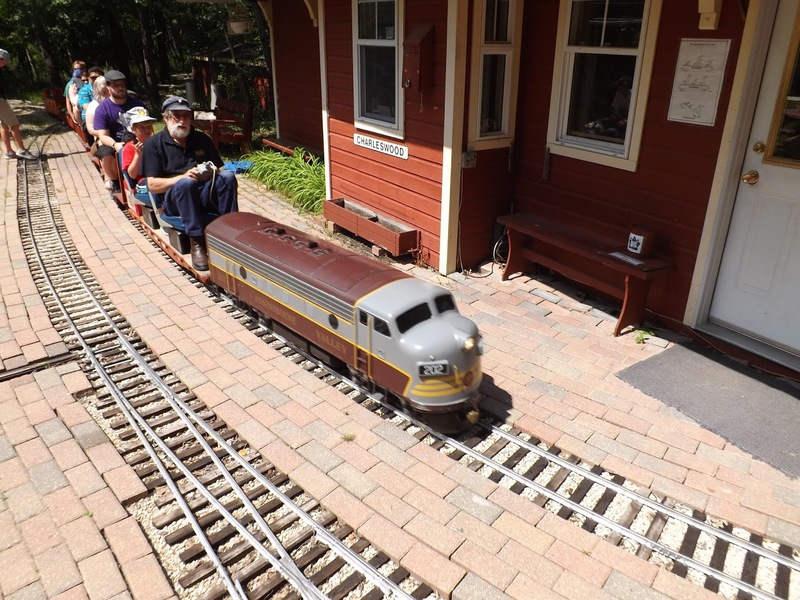 You'll see how Rapido products are made, how the company decides what to make and the challenges involved in manufacturing model trains. Jason will stay following his presentation and answer any questions that you might have about his company and the model railroad industry – past, present and future. Rapido Trains is one of the premier manufacturers of model railroad products in the world. This is a great opportunity to meet Jason and learn about his company. This special presentation takes place at 7:00 PM in the Tank Room at the Charleswood Legion, 6003 Roblin Boulevard. Hope to see you all there!